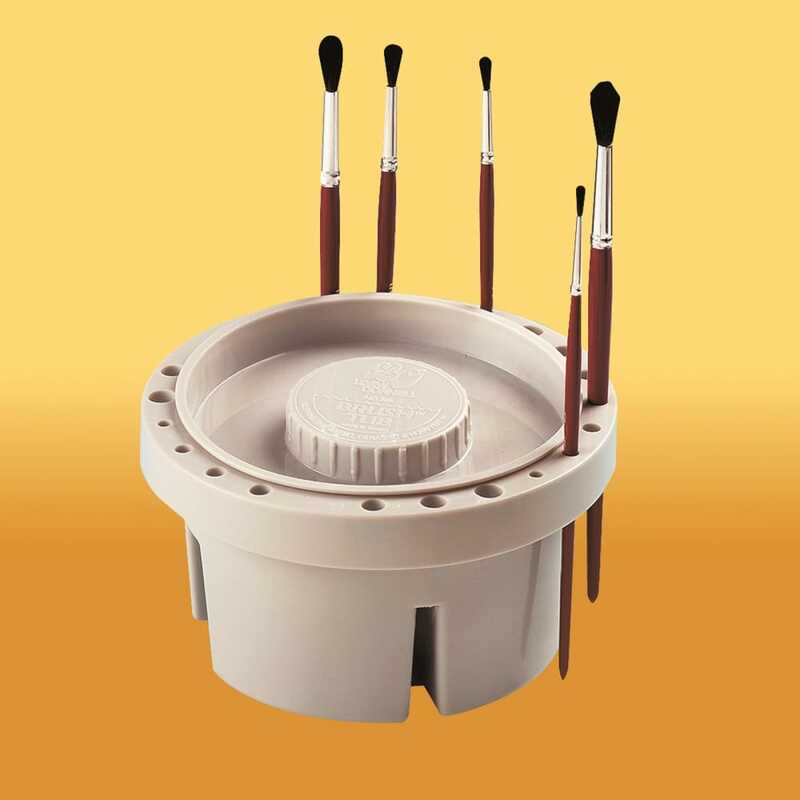 The solid plastic brush tub is great for the cleaning and storage of your favourite brushes, the assorted sized holes is ideal for all the different size brushes in your collection and will hold up to 21 of them. Complete with a lid to stop spillages and waste. The tub measure approximately 8cm deep 16.5cm in diameter.